The Gift of Truth, Inc.: All Faith, No Fear! I guess what I want to encourage you to do is not allow your fear of failure or rejection to keep you from pursuing your dreams and goals. The most unfulfilled person is the one who knew their potential but never allowed it to be actualized because of fear. Fear is the enemy of faith. If you don't deal with fear at the onset, it will get stronger and eventually overtake your life. Fear can be paralyzing...it makes you feel stagnant and unproductive. This is why God makes it clear to us in his word that he has not given us the spirit of fear (2 Tim 1:7) and that in order to please him we must have faith (Heb 11:6). 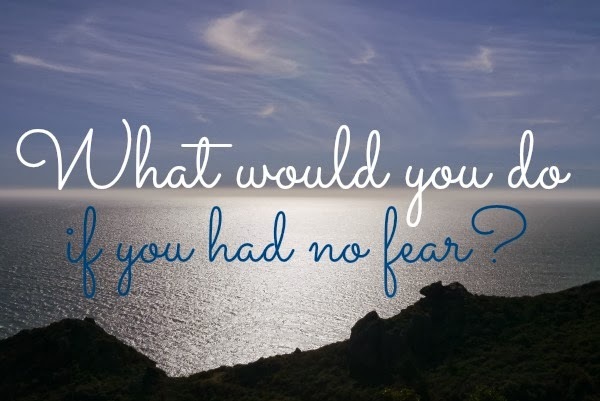 What have you allowed fear to talk you out of? Starting your own business? Going back to school? Switching careers? Being more active in your church? Well, the good news is that you still have time! Will it be easy? Absolutely not! But, it's not easy watching your potential waste away either. Dorothy Thompson said it best, "Only when we are no longer afraid do we begin to live." There is a huge difference between being alive and living. To truly live is to wake up every day with passion and purpose. To live is to be intentional. So, I say to you "live!" The key to overcoming fear is putting your trust fully and completely in God. Has he ever let you down before? Is anything too hard for him? You might fail but then again you might not. You will never know until you give faith a try!